Serenity Now: Are You a GLeek? By the time I have chased two small children through the house all day, wrangled them in and out of a Target shopping cart, listened to the sound of thousands of Polly Pockets accessories being repeatedly poured out on my floor, coaxed said children to eat meals, washed 10 sippy cups, said "No, you may not watch any more TV" twelve times, cleaned dried Play-Doh chunks off the kitchen chairs, bathed the children, read a story, said two bedtime prayers, sang two bedtime songs, and tucked them into bed, I'm not much in the mood for deep thinking. By 8:15 pm, I'm ready for some mindless, fun entertainment. Do you watch Glee? It comes back on tonight after a long hiatus, and I am so excited! Glee follows a group of veritable high school outcasts whose goal is to revive the school Glee club with the help of their new faculty advisor, Mr. Schuster. They enlist the aid of the star quarterback, some football players, and three sneaky cheerleaders-who are sent as spies by the delightfully snarky cheercoach, Sue (played to perfection by Jane Lynch). I've never seen Disney's High School Musical, but Glee is not the sappy sweet musical I was expecting. It's not cheesy, nor is it a show geared directly to teens. It balances hilarity with fabulous musical talent...two of the show's main characters are Broadway vets, and the numbers are all sung by the stars themselves, not some lame voice-over back-up person. To put it into perspective, I was successfully able to hook my own mother on the show. She is the one who told me she would not watch LOST because "it just looks stupid with all those dirty people running around on that silly island and what are they doing there anyways?" She doesn't always *get* the dark comedy, but she can appreciate the talent! If you've never seen Glee, here's a little peak at the first season. You can catch it on DVD too! If you're a GLeek like me, here's the preview for what starts back up tonight! I can't think of a better way to spend a Tuesday night waiting for T to get home from work! *Hope to see you tonight or tomorrow for the very first Dishing It! party. There's a Giveaway for participants! I am definitely a Gleek! So excited it is starting back up tonight! Great post...the beginning made me laugh :) And I loved watching the clips. Hope you don't mind me sharing it today. Hmmm. . . I've never watched it. I was a choir member in high school; a Glee Club would've been such fun! Maybe I need to take a look at this. For now, I need to go watch the House that I DVR'd last night. I do not miss an episode of House. No, ma'am. I love Glee! Can't wait for it's return tonight! I'm not a Gleek... I decided a couple of years ago that I wasn't going to take on any new tv addictions. It has been hard but very freeing. I only have a handful of shows that I dvr each week. The only show that I absolutely can't live with out is Project Runway. Yay for your party - almost here! Ack...I'm so glad you reminded me of this show! I've been wanting to watch it, and that woman (I don't know her name) cracks me up!! Thanks for the reminder! Yes, I am a Gleek! I can't WAIT to watch this but it will have to wait until the weekend. :( Still, super super excited! OMG, I'm positively GLEEful! Of course I won't get to watch it until it's up on fancast tomorrow, but I don't care, I KNOW it will be there. I can't wait!!!!! SUPER STOKES ABOUT GLEE! Thanks for the info about the blog party Amanda! 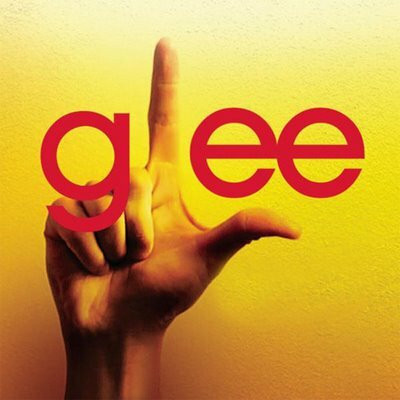 love, love, love Glee-can't wait for tonight!! I'm off to set my DVR because I don't want to miss Glee. I didn't realize until late in the season what a great show this is. Yipee! Something good is on tonight!! I'm a huge gleek! I can't wait!! You're so cute Amanda...my evenings are similar but only with one. My friend Elz loves Glee so I might just have to tune in tonite. I saw that delicious fellow on Ellen today...just might have to start watching! I AM A GLEEK! I will shout it from the roof tops...I LOVE GLEE!!! Hubs and I are just so anxious. It's so stinkin funny and on a rare occasion, a little sweet. Amanda, I always figured you for a person of great taste and intellect. Your post about Glee just proves it. I am soooo excited! I wish I had decided to have a GLEE party tonight. I should have gotten on the ball on that one. How fun would that be? Ohhhhh...I've been waiting and waiting and waiting...I can't wait! I've only seen it a few times, but my Hubby loves it! Guess he'll rope me into it soon. I'm gonna have to watch it online. Darn! My hubby and I LOOOVE this show! It's funny AND family friendly. I love that we can watch the show in front of our kids and not have to change the channel. Yaaay for Glee!!! Well, Hubby spotted the Glee people behind the judges on American Idol and I informed him that you mentioned that Glee started tonight, so I'm sitting thru watching it with him. Once they started singing Lionel Ritchie and Neil Diamond (my age is showing), I was hooked! Still have the new episode on my DVR. I can't wait to watch it. My nieces got orchestra seats for their Manhattan show. Hope Mr. Shu dumps his wife! I love Glee!! It is fabulous! I even got my husband hooked on it, which I was shocked about because he does not like musical type shows.